Good news. 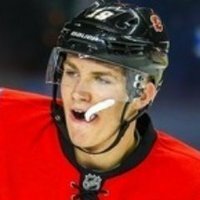 Tkachuk is back on the PP. I wonder how many of Tkachuk's elementary school teachers didn't end up in a mental health facility? LMAO. Just worried Lucic will be Lucic and really hurt someone. Hes not ashamed to go after anyone who cant defend themselves. Nice bounce back save by Rittich. Nice hack on JH's gloves that went uncalled. Lots of dirty plays by the Oilers tonight. No wonder Sammy's charged up. Take the legs out on Ras going into the boards. These are the type of games Bennett shows up big time for, I would be putting him over the boards a lot tonight. Need to activate Mr. Neal. The 3rd isn't getting quality time. Stay smart let the big goof balls on the Oilers do their thing. You need to do that more often. The scrums have pulled the Oilers off their normal game. If Kassian isn't kicked out of the game, these refs have zero clue. I have seen suspensions for throwing punches when the other player wasn't ready to go. I doubt he gets suspended. Kipper has no idea of what a slew foot is. Just shut your idiot mouth. Sorry for bringing down idiots by comparing to Kipper. Ya you don't see that a lot anymore. When one guy doesn't want to go but the other still throws the punch.